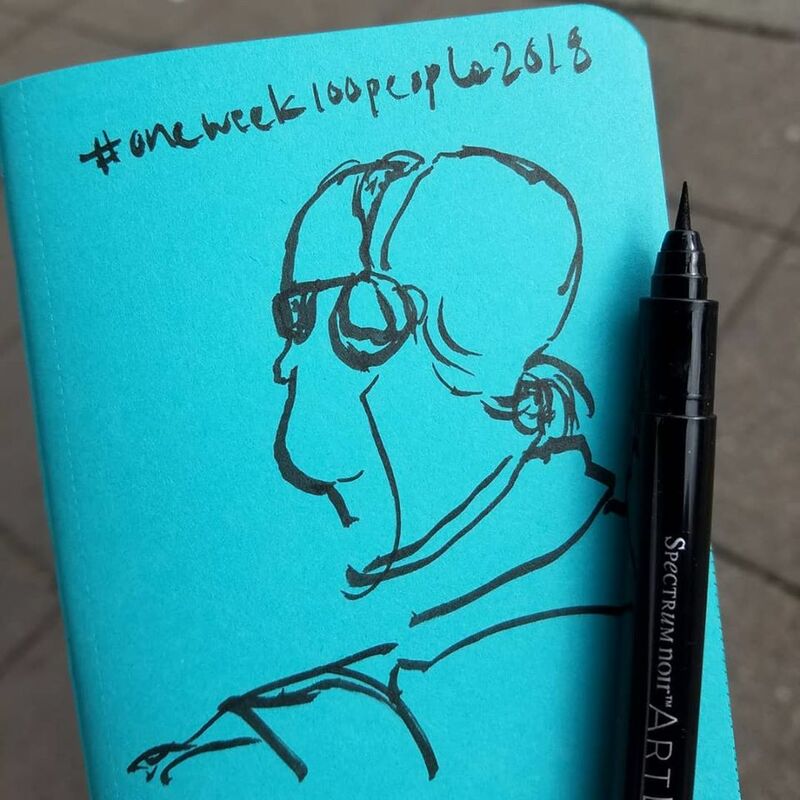 We’re two days into #oneweek100people2018! 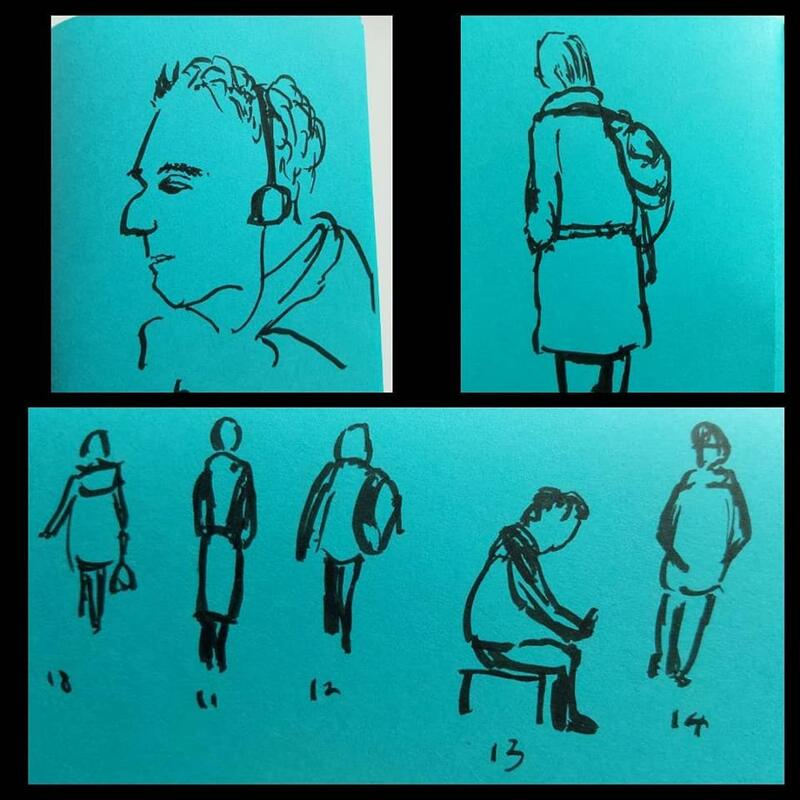 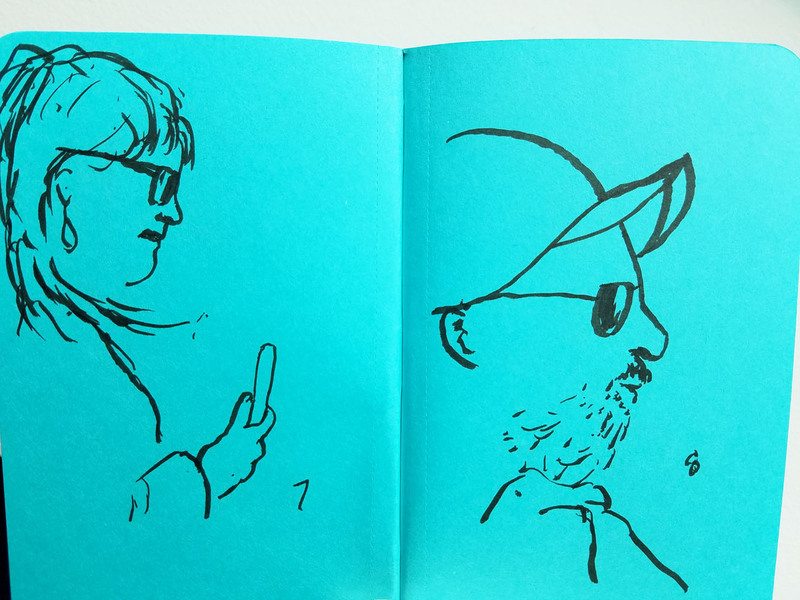 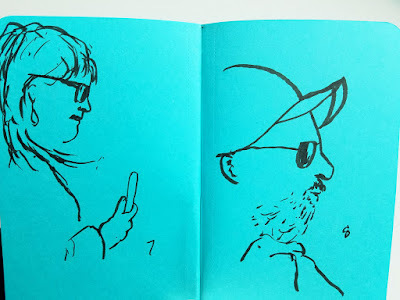 On Monday I started out in my usual way – a few commuter portraits on my bus ride downtown. 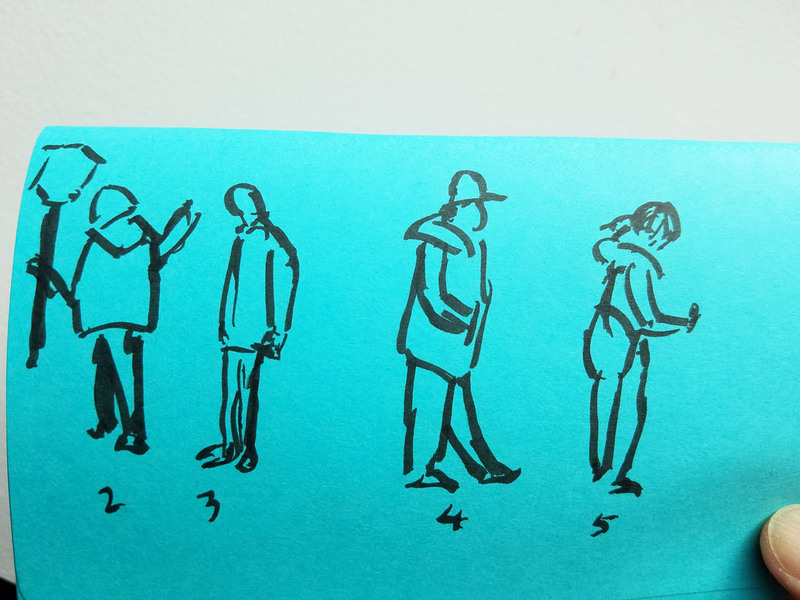 But then I remembered my goal for this challenge – to go for quick figure gestures with minimal marks. 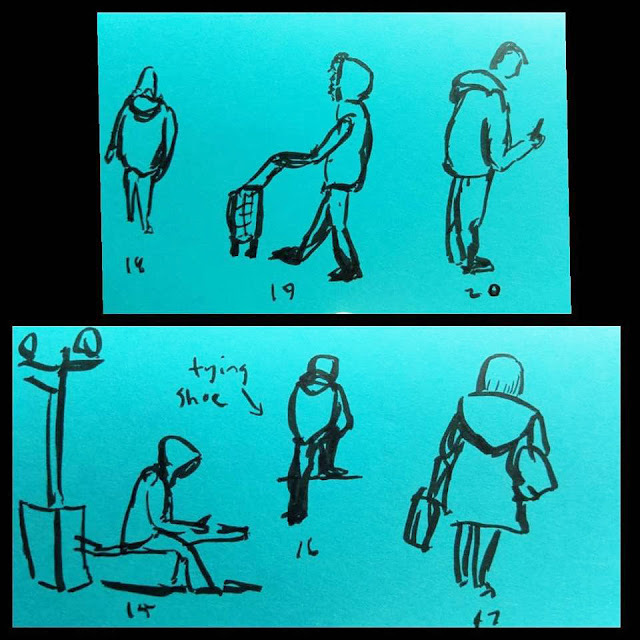 So when I arrived at my destination, I simply stood at the bus station for a while and sketched people waiting or walking by. I had so much fun trying to capture a posture or pose in just a few seconds, and I got a lot done in a very short time! Yesterday I hit the Northgate Mall food court, where I had a clear view of the lines of people at Starbucks – both waiting to order and waiting for their beverages. 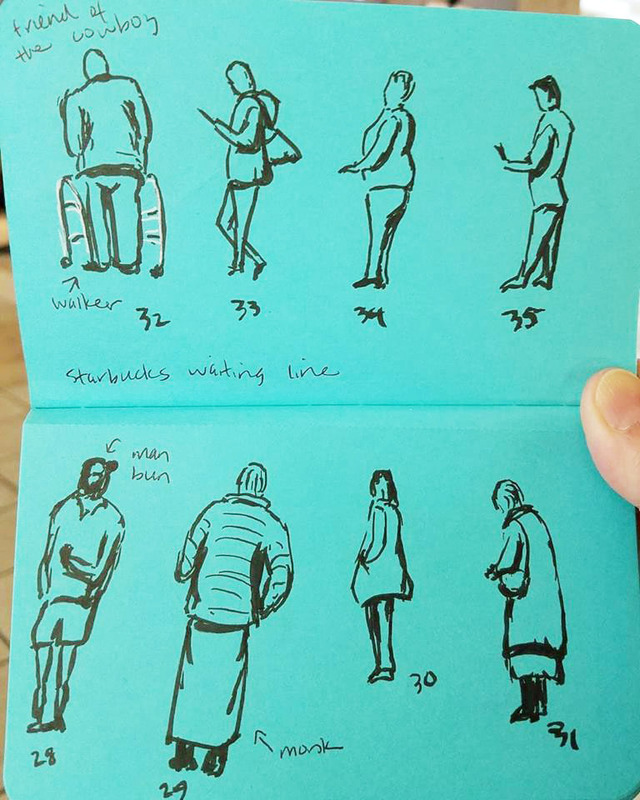 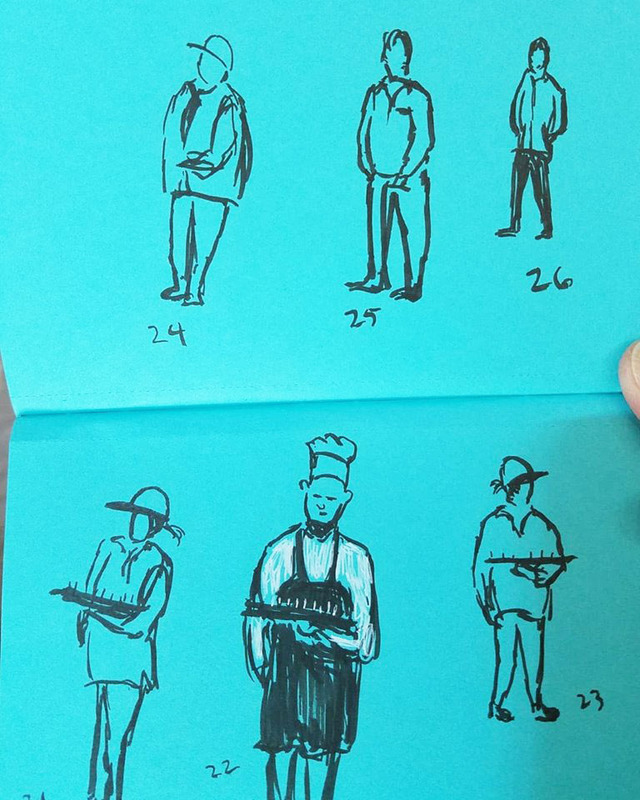 When they’re waiting to order, there’s a bit of tension in their posture or stance, but when they’re just waiting for their drinks, they relax more and scan their phones. I enjoy reading their body language and then trying to convey it in my sketches. 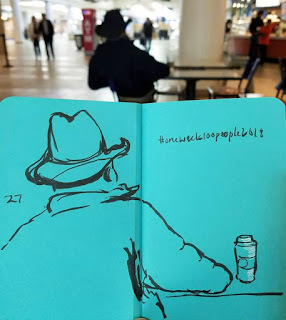 For the record, I’m using a Spectrum Noir Artliner with a brush tip and a blue Field Notes Sweet Tooth (I used a yellow one last year). 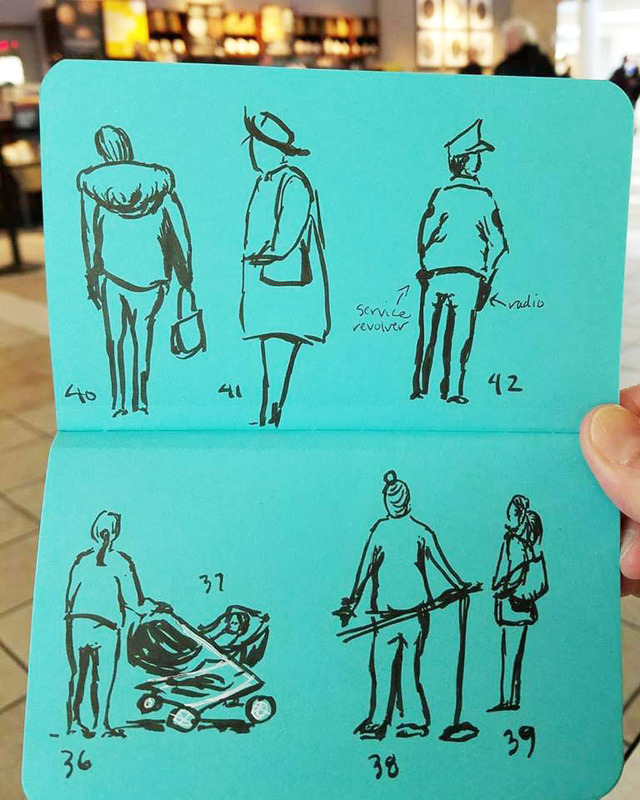 I’m up to 42 (counting a tiny baby who is barely visible in a stroller – but I decided it counts 😉)! How about you?